Bellina Ressa, daughter of the Lord Chancellor, has lived a sheltered life. Shunned by the rest of the nobility due to her Cognopathic abilities, she has become strong willed and independent. But in the blink of an eye, she finds herself betrothed to the arrogant Elvgren Lovitz and on a diplomatic mission to save the Estrian empire. Joined on this perilous quest by her fiancé and the resolute Major Cirona Bouchard, Bellina is about to discover that intrigue lurks just beneath the surface and danger lies in wait around every corner. 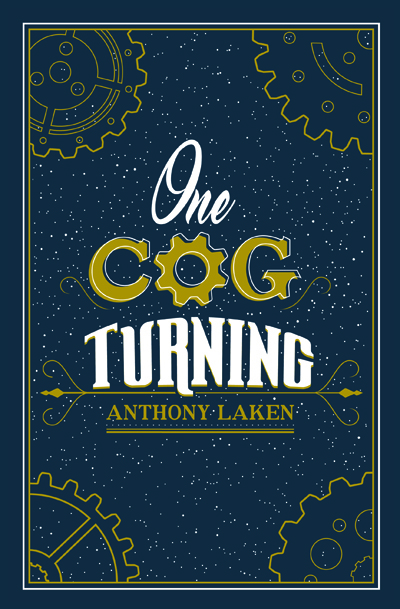 Anthony Laken has been creating fantasy worlds since he can remember. Writing has always been part of his life and he hope it will remain that way. Anthony has had a few jobs; working in a now defunct video store, cutting up boxes at night, and teaching, but would love to turn writing into his full-time profession. He lives in the grey twilight of South East London with his fiance and son.